We’re just a week out from the race now, so in this instalment of my newsletters, I’d like to draw your attention to some important information and rules relating to our courses. Just before I get into it, although the water temperature was nearly 27 on Thursday, it’s been hammering it down all weekend here, and that will bring the lake temperature down a lot ! I’ll publish a water temperature on Tuesday when I’m next down the lake, and let you know if it’s brought it down enough in Wednesday’s newsletter, but I’m pretty confident that we’ll be racing in Wetsuits next Sunday if you so choose. Over the last 8 summers, we’ve run this Middle distance race 14 times, and had over 15,000 people race with us. Over that period, we’ve had a grand total of 6 complaints from residents on the course. Compared to other middle and full distance organisers, who get 10’s or 100’s per race, this is something we’re exceptionally proud of, and wish to maintain. However, the reason I’m emailing you all now is that we got 3 of those 6 complaints from 1 village during the June race this year. Those complaints were about 2 issues. The first was that one of the clubs attending brought a load of supporters with them, who set up a cheering station outside the village pub with Cow Bells and Music at 07:30 in the morning (the Village pub/guesthouse, had, the previous night, hosted their village summer do, which I’ve no doubt went on to the early hours), so this understandably did not go down well. The second complaint, which I saw evidence of later, was Cyclists were cutting the corners, and riding on the wrong side of the road, and generally not being courteous to other road users. I have no issues with clubs bringing supporters to make noise (in fact, I love it), but please don’t do it outside someone’s house or hotel business, or anywhere near a residential area as us triathletes tend to forget that getting up at 4am is not what the normal person does on a Sunday morning. 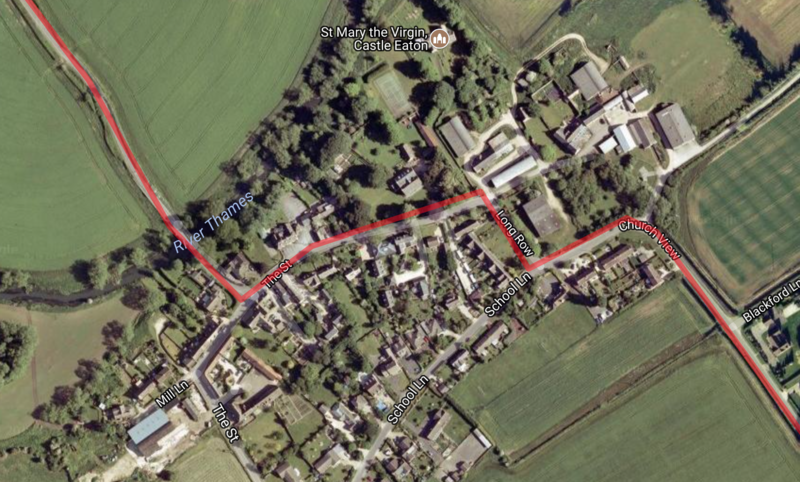 You’ll pass through 6 different villages on the courses next Sunday, and many of the local residents will come out and support the competitors, which is great. However, many won’t and that’s their prerogative, so please respect that and keep the noise down yourself, and ask any supporters you have on the course, not to make noise in residential areas please. 90% of our courses are in non residential area, and there’s loads of places you can support from that won’t wake up or upset anyone other than a local cow or sheep, and neither of which can write a letter that requires me to sit and get a telling off in a parish council meeting. The second issue is a far more serious one. We don’t close the roads on our courses as in reality, the roads are super quiet that time of the morning, and it’s very unlikely you’ll encounter many other road users until later in the morning during the tail end of the bike on the run back into the lake on the Spine road. However, it’s possible that you might come across a car that won’t overtake a cyclist in front that you are perhaps moving quicker than, or that someone might not look and reverse off their drive in front of you. Screaming abuse at other road users or undertaking someone’s grandad who’s already not comfortable driving to church with 100’s of bikes on the road is not nice for them and achieves nothing, but to bring our event into disrepute. You will have, undoubtably, seen the recent footage from the horse rider at the Windsor triathlon who was undertaken by a bunch of fast moving cyclists and the horse freaked out – This made the national news. Because of this incident, Triathlon currently has a particularly bad name in the press and public eye, and we now need to rebuild people’s confidence in the races and competitors. I appreciate that no-one gets out the water and sets off on their bike wanting to ride or run like an idiot, but red mist descends when you get a race number on you, and I’ve seen even the calmest person turn into an idiot when racing. I’m going to identify the village of Castle Eaton on the bike course for you all, but in reality, you should be carrying this good behaviour mentality throughout the entire race, and undertaking, riding on the wrong side of the road to cut a corner, or being abusive or in anyway disrespectful to any other road user (or competitor) is something I’d hope all our competitors will not do throughout the race. In order to prove to the residents of Castle Eaton that we can run a good race in a safe, controlled environment, we have agreed with them to police it with them on race day, and both our marshals, bike team and their parish council will be out checking and filming. If anyone is seen not riding in a courteous manner, cutting corners by going too fast for the conditions, or generally being overly loud or rude, you will be instantly disqualified from the race, no exceptions. It’s massively important to me for all the Villages we go through on our races to continue to love and support them, not just tolerate or dislike them, and a repeat of what we had in June could see us not allowed to race on the roads at all, so understandably, we’re taking it very seriously. 99.99% of you all ride/run very well and race very courteously (and for that, we’re very appreciative), but there’s still that 0.01% that’s creeping into our sport (as seen at Windsor) that can ruin it for everyone else. 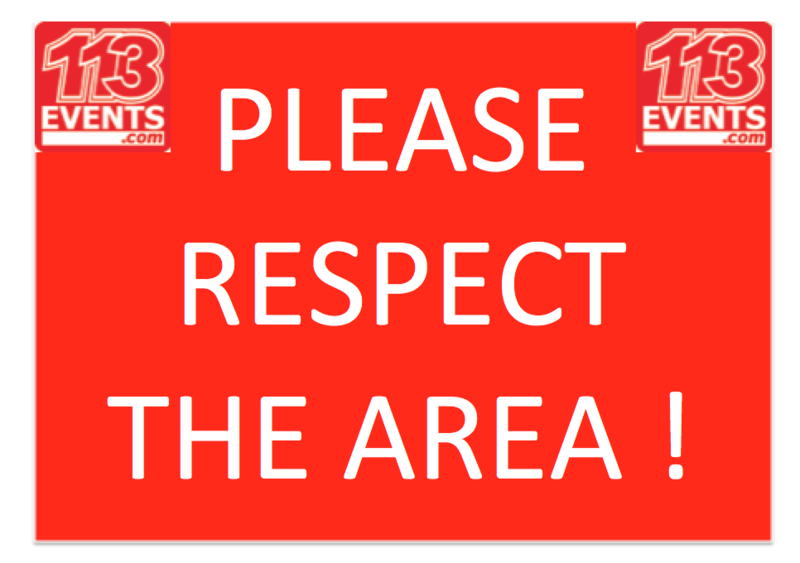 We will mark the entrance to the village with the following signs, but in reality, I’d expect you to ride/run in this well behaved manner in all areas of the course. Like when you’re running through Somorford Keynes later in the race, you must remain on the side of the road that you are supposed to be on, and cutting corners is both dangerous and against the rules. I’m around all this week other than Thursday, when I have to be away for the day on my Day job (I’m not working the rest of this week, but I couldn’t get out of Thursday’s commitment), so please get in touch if you need anything from us this week, or there’s anything we can do to help in the last few days before the starter whistle goes off. If you do need me on Thursday when I’m working, although I won’t be available on my phone or email before around 6pm, I will pick through my emails in the evening, or if you leave me a voicemail message, I may get a chance during the day to pick them up and call you back.